Dr. Chandra Smart is a recognized pathologist in Los Angeles, California. She received her medical diploma from David Geffen School of Medicine at UCLA in 2003. 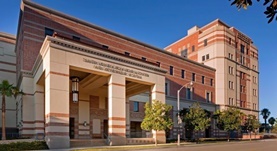 Dr. Smart completed her medical education with a residency in anatomic and clinical pathology at UCLA Medical Center. She is certified by the American Board in clinical pathology, anatomic pathology and dermatopathology. Her subspecialty is general pathology. This doctor works at Ronald Reagan UCLA Medical Center and UCLA Medical Center Santa Monica. She has published 5 articles in cooperation with other doctors. 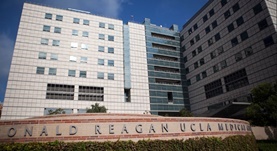 She is a member of the medical groups UCLA Pathology and Laboratory, Uc Regents. Dr. Chandra Smart has contributed to 3 publications. Dermal Mucinosis in Chronic Sclerodermoid Graft-Versus-Host Disease. Beroukhim, K.,Palla, B.,Smart, C. N.; Am J Dermatopathol. 2015 Sep 01. Zussman, J.,Smart, C. N.; Am J Dermatopathol. 2015 Mar 25. Radiology quiz case 1. Metastatic cutaneous angiosarcoma of the scalp with perineural spread. Lau, O.D., Bhuta, S., Smart, C.N., Kirsch, C.M., St John, M.A. ; Arch Otolaryngol Head Neck Surg. 2010 Apr.